The recommendations for illumination of surfaces are tied to the working plane illumination.. With lower values on room surfaces the walls and especially the ceiling would feel relatively dark, causing uneasiness or feelings of oppression in the occupants. This factor is important to keep in mind with ceiling heights different than the standard 2.4 meters. Very important part of room lighting is the vertical illumination, reflecting the habit of an eye to react to sunshine and daylight coming from above. With correct vertical lighting a person feels safer and fares better at recognition of shapes and faces. From the point of view of large surface area of reflected light and the desire for the light to come from above it is sensible to actually illuminate ceilings, even though there is no significant action taking place on the surface. This approach creates a very homogenous illumination, although care has to be taken to avoid too high a luminance, over 1500 candelas per square meter. The recommendations for illumination of surfaces are tied to the working plane illumination. For example, if a required illuminance of a workspace is 400 lux, the walls should be at least 200 lux and ceiling 120 lux on the average. With much lower values on room surfaces the walls and especially the ceiling would feel relatively dark, causing uneasiness or feelings of oppression in the occupants. This factor is important to keep in mind with ceiling heights different than the standard 2.4 meters. LG7 guidelines, which contain recommendations for interior lighting and design, offer different values of illuminance for different ceiling heights to help achieve optimum illumination. 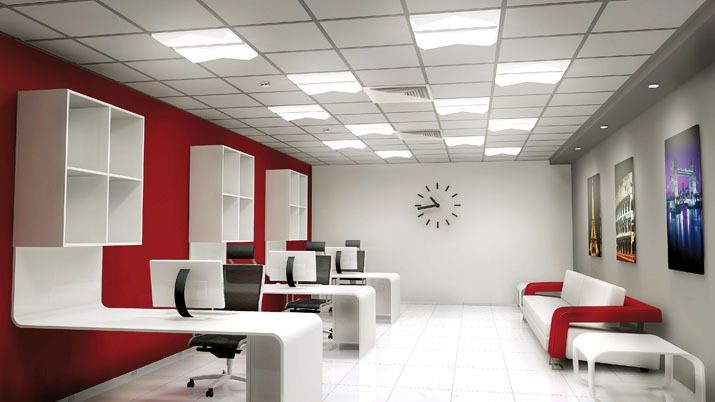 The industry standards call for adequate illumination of working environments. Industry norms set up in European norm EN 12464-1:2011 state basic rules for illuminance of the task area, demanding the lighting to be uniform and the changes in illuminance in the surrounding area gradual and not sudden. LQS goes beyond the norms. It demands correct lighting of work surfaces, where correct reading, colour rendering and other recognition and visual activities are of paramount importance. Even if the room itself is lighted correctly, the obstruction to light on work surfaces themselves can cause eye strain and further health problems. In such specific cases the LQS calls for asymmetric luminaire with non-standard reflectors for the light to correctly reach surfaces. Special optical elements can be used to achieve the desired goal. Where necessary, a colour mixing or tuning of white can take place, usually via digital control. 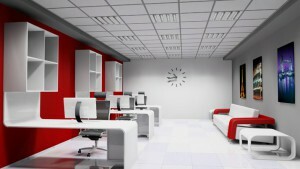 This is to make sure that each working space is correctly lighted. 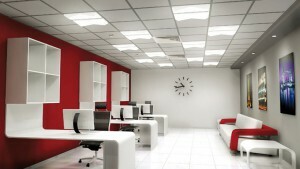 In the office space lighting, the usual standards are set up in the so-called LG7: lighting guide for office spaces. This standard calls for taking into account both direct and indirect light sources and reflected light. It also sets up recommendations for room surface reflectance and illuminance levels. Although luminaire producers can claim LG7 compliance, the guide is aimed at interior designers: only they can guarantee that the lighting used is indeed LG7 compliant.